Camden SMART was honored with a 2018 One Water Award for its record of community collaboration, engagement, and education, as well as 49 green infrastructure installations that help manage more than 60 million gallons of stormwater annually. The New Jersey One Water Awards honor projects that demonstrate great water management. Winners illustrate the One Water ideal by valuing and making use of all water, whether it’s drinking water, stormwater, or wastewater. The awards program is sponsored by five organizations: American Water Resources Association’s New Jersey section, American Water Works Association’s New Jersey section, Association of Environmental Authorities, Jersey Water Works, and New Jersey Water Environment Association. Read about the winners announced for the 2nd annual New Jersey One Water Awards. Camden had a flooding problem — and not just because of its location on the Delaware River. 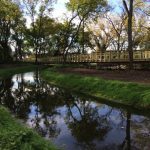 One inch of rain from an everyday storm could submerge a low-lying neighborhood like Cramer Hill in polluted runoff and sewage. Residents complained of flooded basements, blocked roads, and unusable public parks. 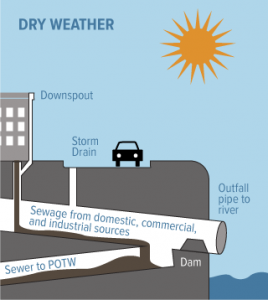 The city’s water infrastructure struggled to handle large volumes of stormwater. In many urban areas, dense development has exacerbated flooding, as impervious surfaces like roads and parking lots prevent water from soaking into the ground. But Camden faced further difficulty because of its combined sewer system. This type of sewer system, found in 21 of New Jersey’s older cities, dates back to the late 19th and early 20th centuries. It is designed to handle both stormwater runoff and sewage. 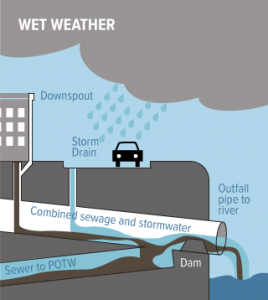 During a storm, additional runoff overwhelms the system and it overflows, discharging runoff and raw sewage into nearby waterways, streets, parks and basements. What represented state-of-the-art technology a century ago is no longer a viable stormwater and sanitation solution. Camden’s aging, overtaxed system backs up often when it rains — meaning that Camden’s residents aren’t dealing with just water in their streets, but also untreated sewage. It is a threat to public health, as well as a detriment to existing and future economic development in the city. In 2011, six organizations teamed up to tackle this daunting problem. 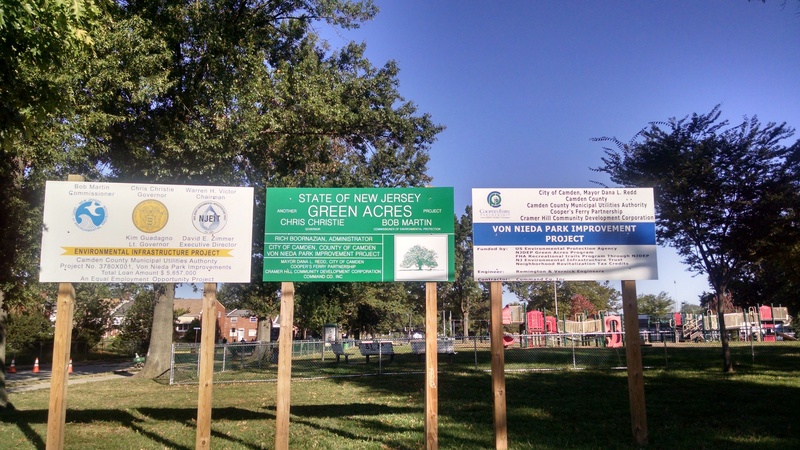 The City of Camden, Cooper’s Ferry Partnership, Camden County Municipal Utilities Authority, Rutgers Cooperative Extension Water Resources Program, New Jersey Tree Foundation, and the New Jersey Department of Environmental Protection formed a collaboration called Camden SMART (Stormwater Management and Resources Training). Their goal was to engage the community in efforts to improve water quality, protect human health, improve conditions for economic development, and enhance quality of life in the city. Camden SMART completed several significant projects in pursuit of these goals, including the reconstruction of 8,522 linear feet of sewer in specific areas where infrastructure had been failing. 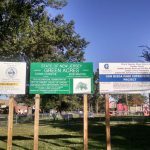 To reduce the volume of runoff overwhelming Camden’s water infrastructure, the group constructed 49 green infrastructure projects across the city. An antidote to impervious pavement, green infrastructure consists of installations like tree trenches and rain gardens that capture stormwater and slowly release it into the ground. It complements traditional “gray” infrastructure (i.e., drains and pipes) by reducing the volume of runoff that enters the system. Camden SMART’s green infrastructure projects capture and infiltrate more than 60 million gallons of stormwater each year, preventing that water from contributing to combined sewer overflows. 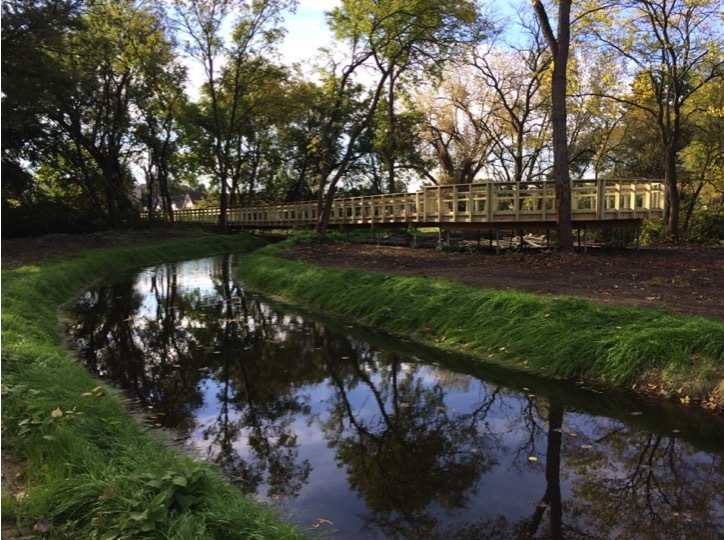 Another of Camden SMART’s major achievements focused on Von Nieda Park, a low-lying area in Cramer Hill that experienced some of the worst flooding. 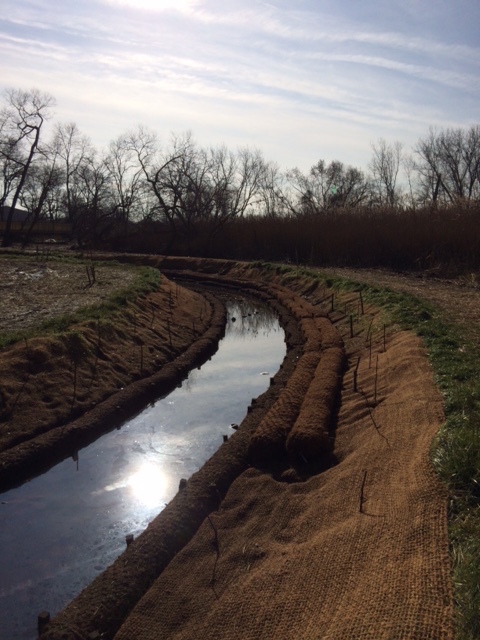 The group separated the sewer system, construct drainage basins, and daylight the adjacent Baldwin’s Run Stream. 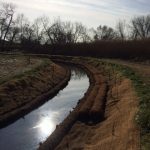 The daylighting reconstructed 16,718 square feet of the Baldwin’s Run tributary — which had been filled in the 1950s — to help divert stormwater to the Delaware River. Together, these improvements divert 50 million gallons of runoff annually from Camden’s combined sewer system. Flooding is much less frequent, and residents can better enjoy the park’s open space. Such visible infrastructure projects provide the perfect opportunity for public engagement and education. Camden SMART has hosted 33 sustainability events and workshops. It has distributed 223 rain barrels to Camden residents, planted 1,458 trees, and collaborated with 40 project partners. The group estimates that it has engaged 4,000 community members through its outreach efforts. The Camden SMART Initiative has earned national attention. It has reduced flooding, improved water quality, educated and empowered residents, and created new green jobs. And in the process, it has demonstrated how local collaborative action can achieve transformational change.